Daft Punk is a French electronic music duo consisting of musicians Guy-Manuel de Homem-Christo and Thomas Bangalter. 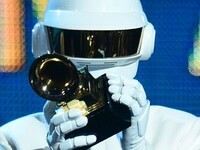 Daft Punk reached significant popularity in the late 1990s house movement in France and met with continued success in the years following, combining elements of house with synthpop. The duo is credited with producing songs that are considered essential in the French house scene. The group was managed from 1996 to 2008 by Pedro Winter (Busy P), the head of Ed Banger Records.Early in the group's career, the band members were influenced by groups including The Beach Boys and The Rolling Stones. 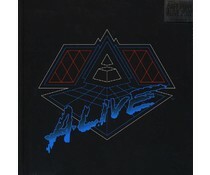 2014 EU reissue on 180g vinyl LP- Alive 1997 is a reissue for the live album by Daft Punk originally released in 2001. 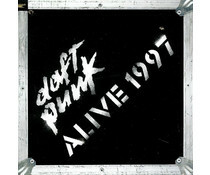 It contains a 45-minute excerpt of a live performance recorded at Birmingham's Que Club on 8 November 1997.